Former taekwondo world number one Aaron Cook is set to make his comeback at the Swedish Open in Trelleborg on Sunday. 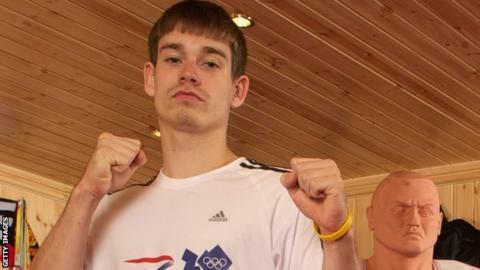 Cook, 22, will compete for the Isle of Man after being overlooked by Great Britain for the London 2012 Olympics. British Taekwondo controversially selected Lutalo Muhammad, who went on to win -80kg bronze, ahead of Cook. Dorset-born Cook wrote on his Facebook page: "Ready to rock and roll! First tournament since May 2012 but looking forward to it." He will face Khaled Alrafaei, of the United Arab Emirates, in the first round of the -80kg category and will face GB's Andrew Deer in the quarter-finals if they both win through. Muhammad is yet to return to action following a post-Olympic break. Under International Olympic Committee [IOC] rules, athletes can switch nationalities if there is a three-year gap between representing their previous country. Manx athletes compete under the British flag at the Olympic Games. However Cook has said he hopes representing the Isle of Man could lead to Olympic qualification without having to go through the GB system.